A.K.A. The last day at intensive rehab. babbling lots. as in all. day. long. tries to say some words: please, cheese, banana, hi, hand. animal sounds: snake, elephant, horse. now whenever he sees a truck or car makes the motor sound. smiling and laughing lots. even dishes out a fake laugh. has the moms and nurses at Kreischa eating out of his hand. the flirt. 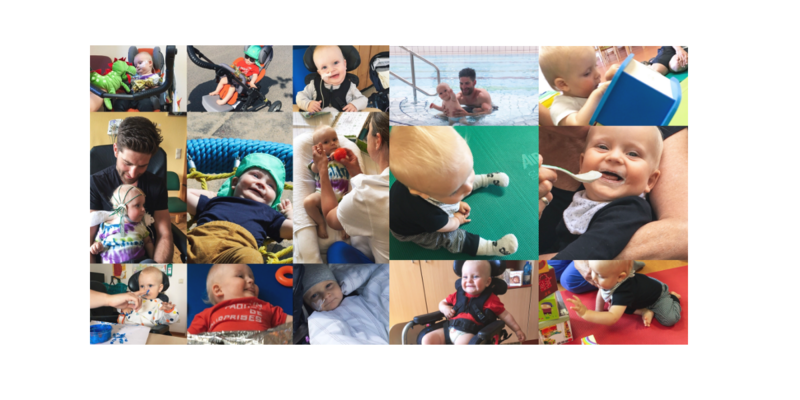 A HUGE thank you goes out to the therapy and medical staff at the Kinderklinik in Kreischa. What a journey we’ve been on with you all. Vielen Dank von Jack der Räuber! It’s so amazing to see the strength you have endured. Your Dad has been updating us weekly. We’re so happy to hear you’ll be home soon. Thanks you guys! Can’t wait, xo!